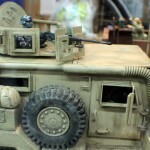 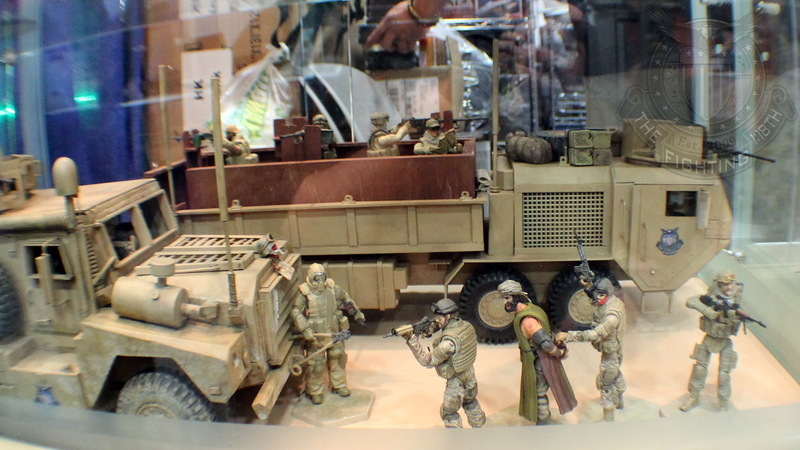 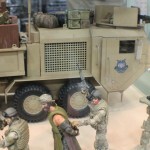 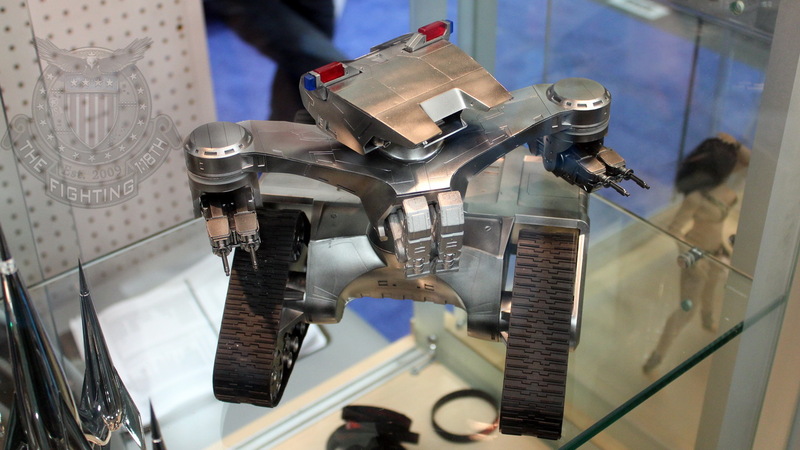 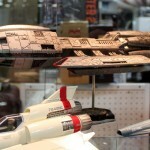 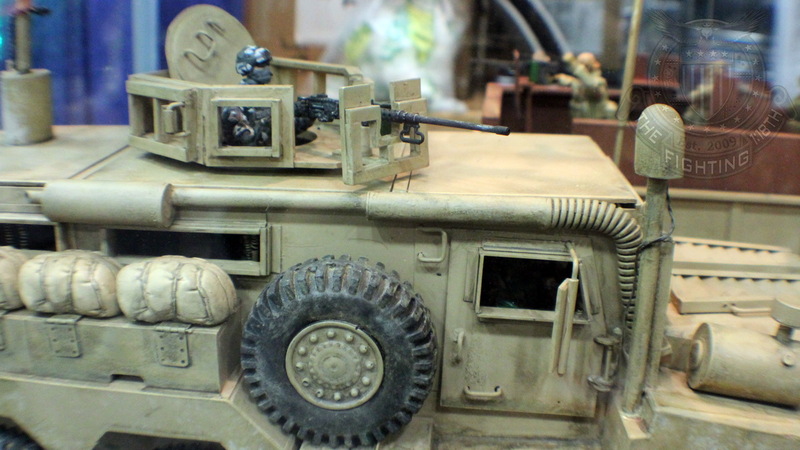 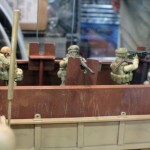 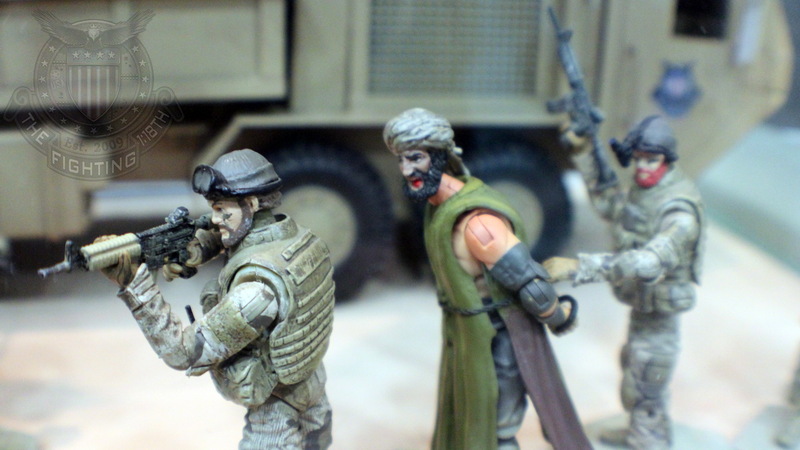 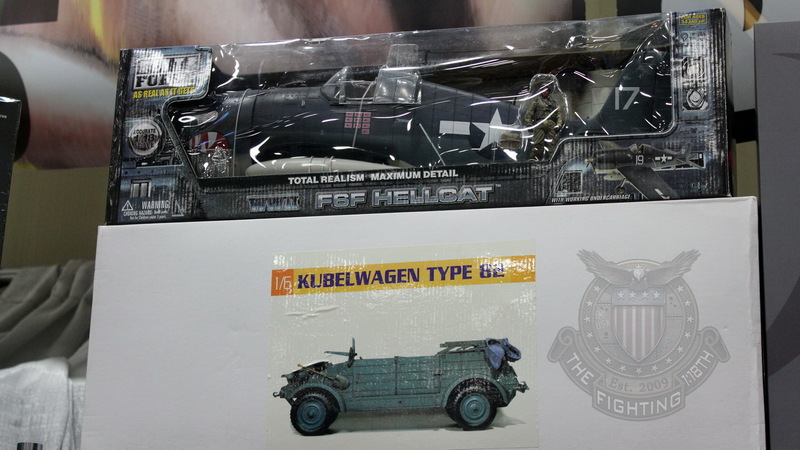 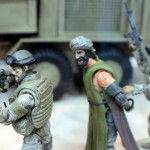 SDCC 2014 – Merit International Booth – #SIZEMATTERS | The Fighting 1:18th! 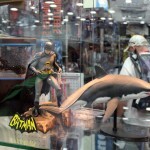 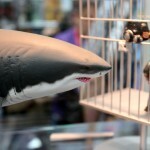 Merit shares space with Legend’s Toys & Hobbies (legendshobbies.com) and they brought a number of retail releases to SDCC this year. 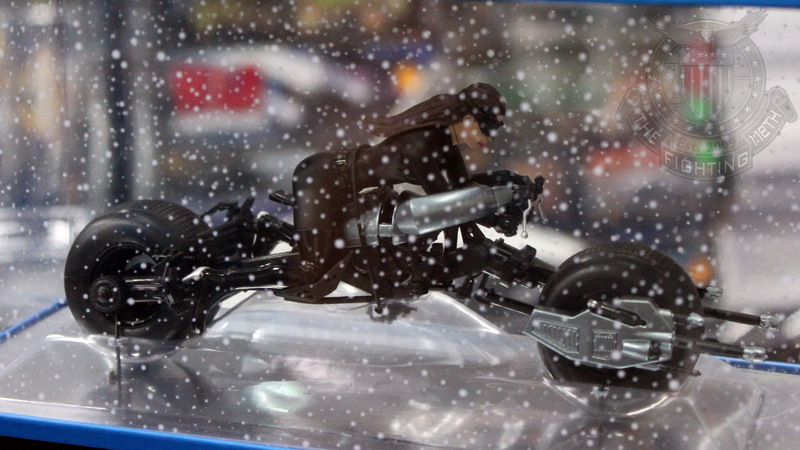 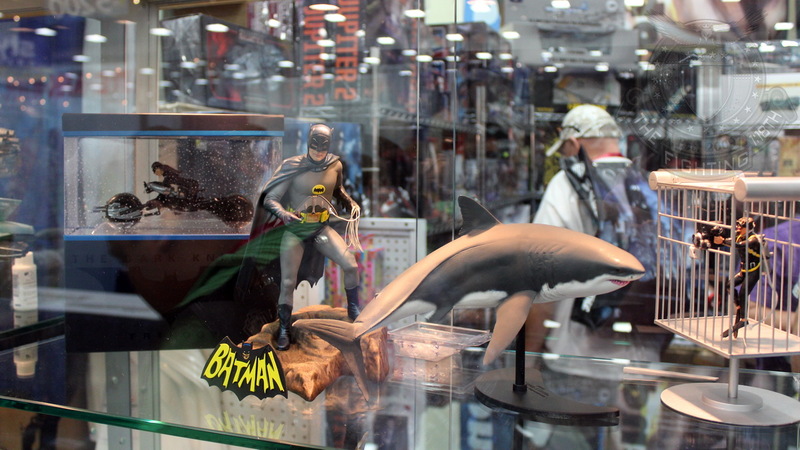 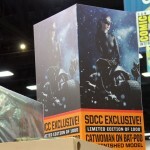 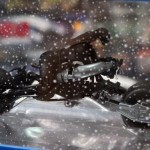 There were also lots of 1/6th scale figures, small-scale figures and vehicles and even a 1:18 scale SDCC exclusive Moebius Catwoman on the Bat-pod. 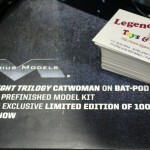 The Catwoman was very popular, and in talking with the lead guy at the Moebius booth, it was originally intended to be 1/24th scale, but due to some mis-measurements with the tires/wheels it ended up being created at 1/18th scale instead. 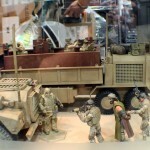 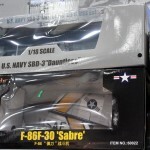 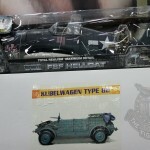 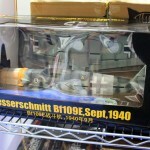 Sadly they do not have any current plans for other 1/18th scale releases. 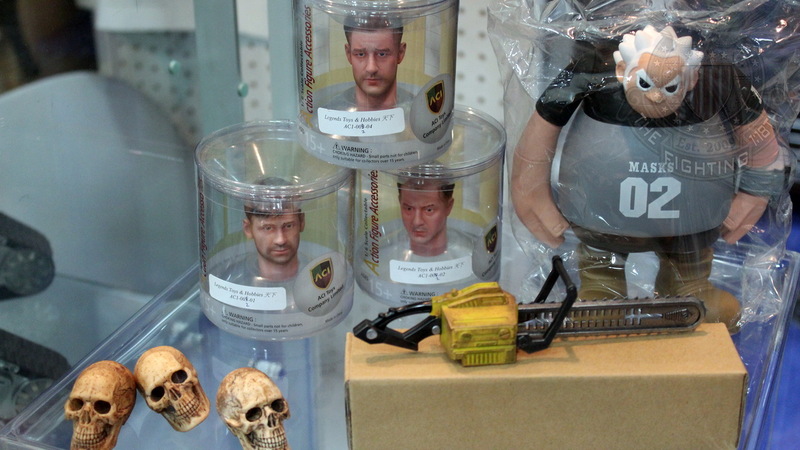 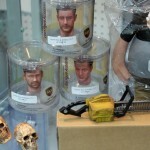 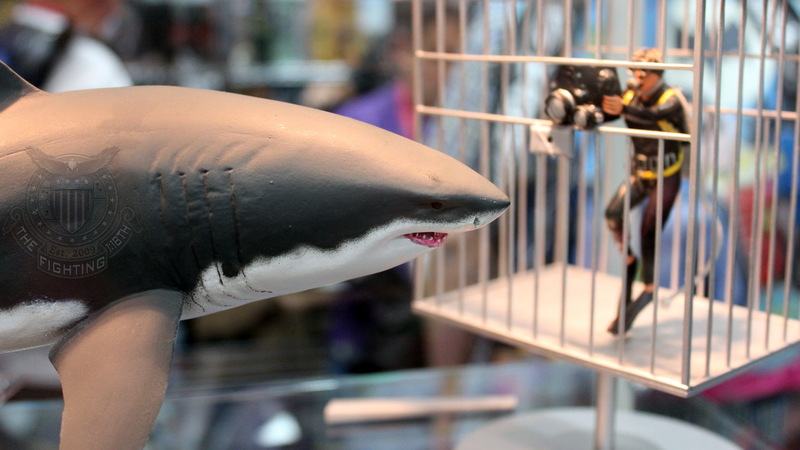 The James Bond Shark and Shark Cage set was pretty cool, I think the shark would work perfect for 1/18th scale dioramas. 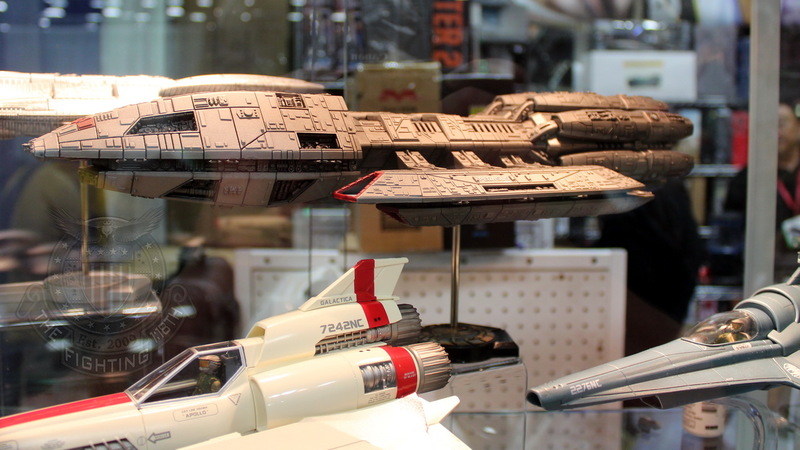 Pretty imposing! 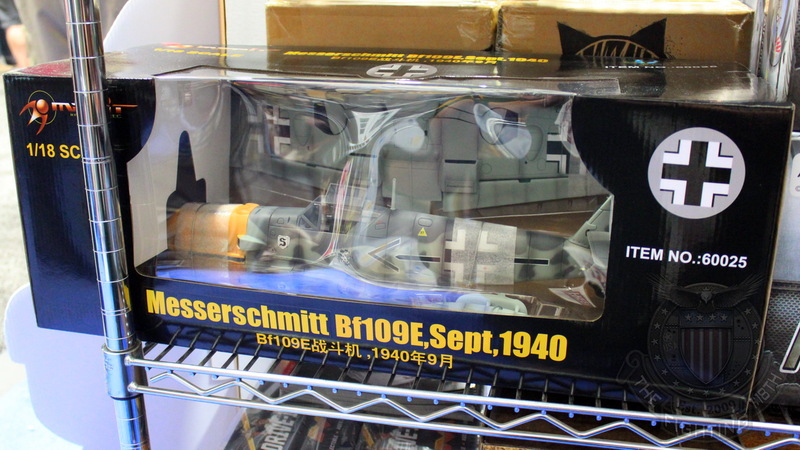 I didn’t get a price though. 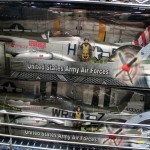 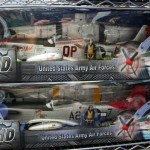 The new “Flight Wing” P-51D’s were here for sale as well. 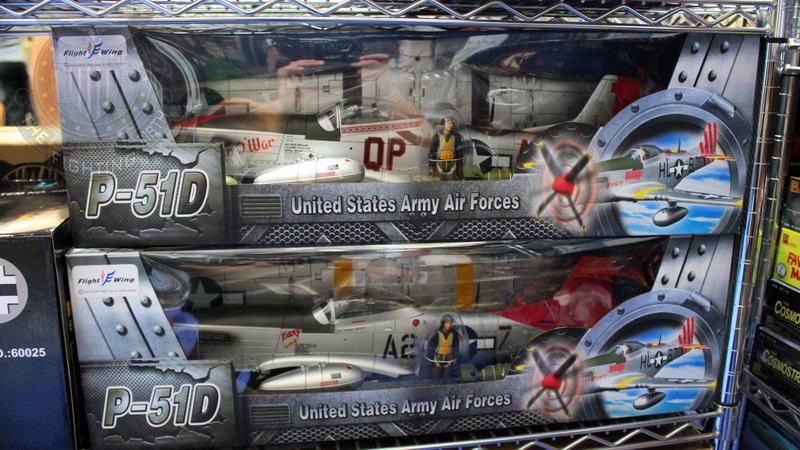 These are using the original 21st Century Toys molds, which I was told were properly acquired. 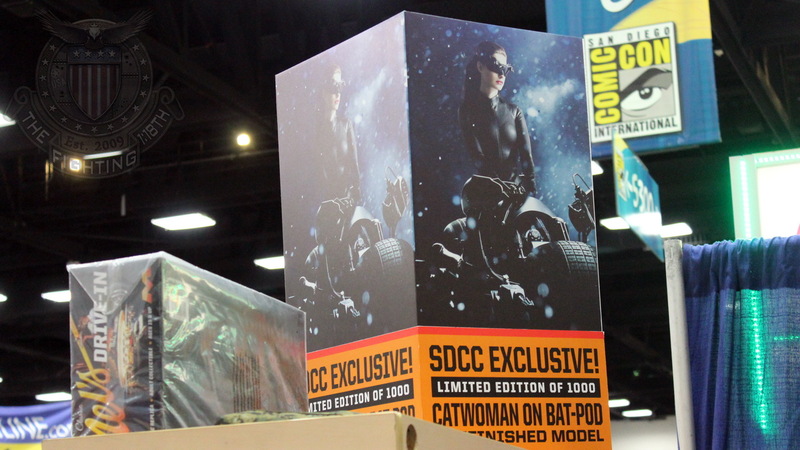 Packaging looked nice and slim. 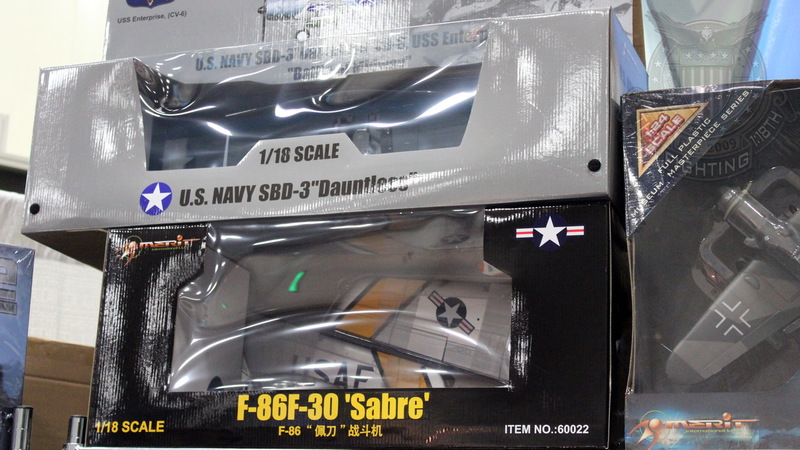 They’re still looking at a $100+ price point, so it’s not as cheap as we’d like, but they look to be readily available, and they come with a pilot figure, so there’s that. 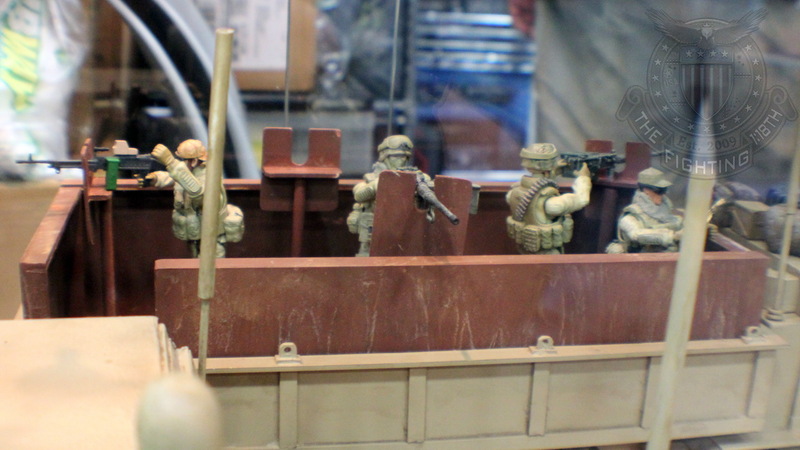 For the first time, The Fighting 1:18th got to exhibit some of our own materials at SDCC. 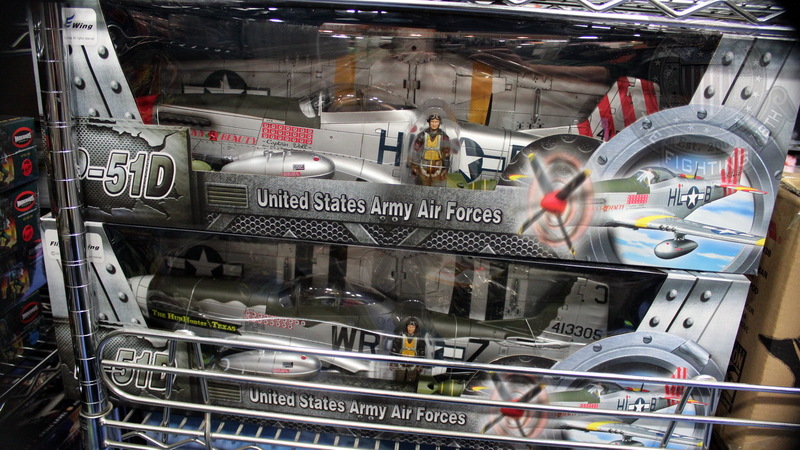 Merit was gracious enough to lend us the bottom shelf of one of their displays. 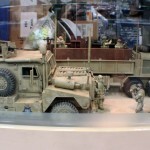 We displayed Digler’s custom 1:18 scale HEMTT Gun Truck, along with his custom 1:18 scale Cougar MRAP. 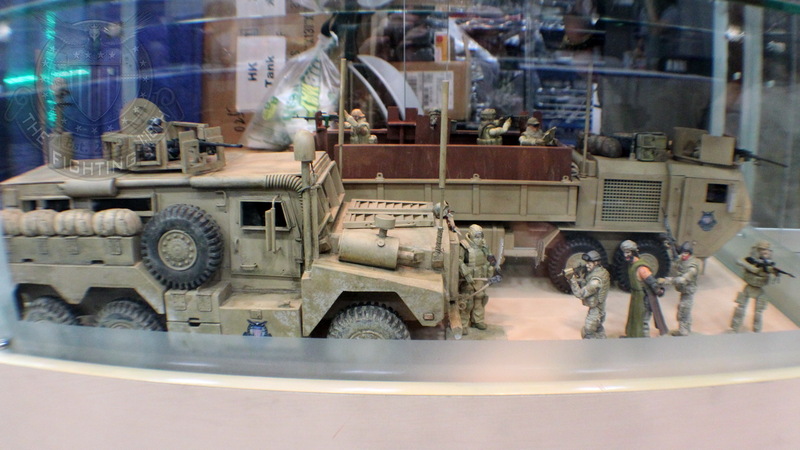 The trucks were so big we had to get creative in how to fit them in there! 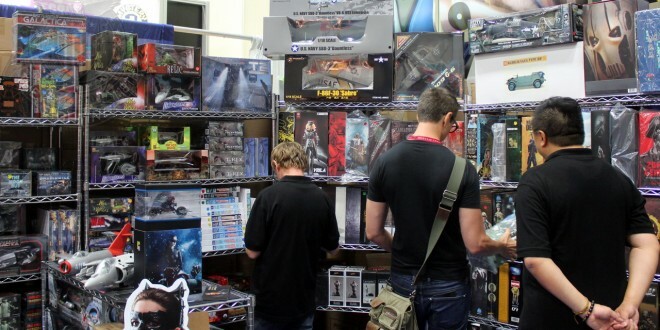 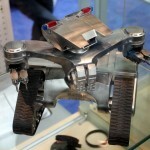 We are extremely grateful to Merit for letting us bring our custom toys down and show them off! 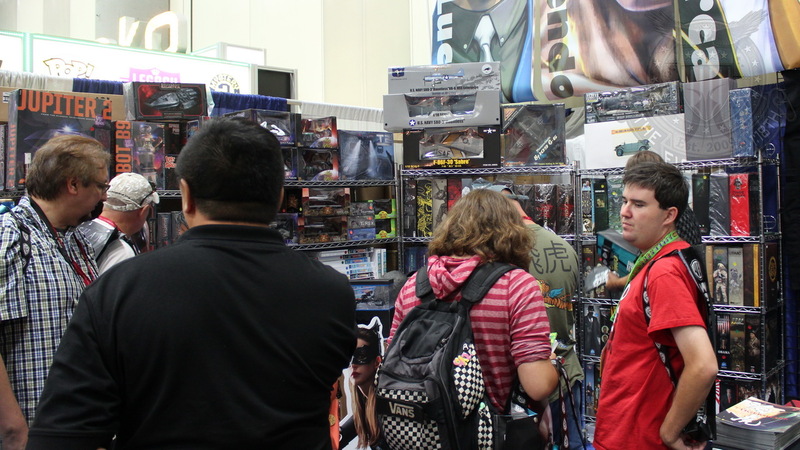 Like last year, the Merit booth was tucked away in the far corner of the convention center, right next to to Funko booth. 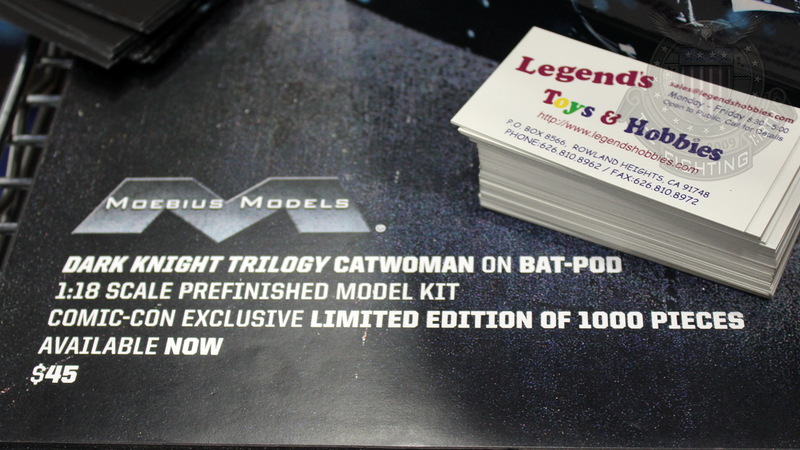 The lines from Funko sometimes stretched all the way past Merit, but thankfully it was not as bad as last year. 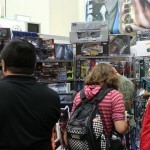 There was plenty of standing room this time around! 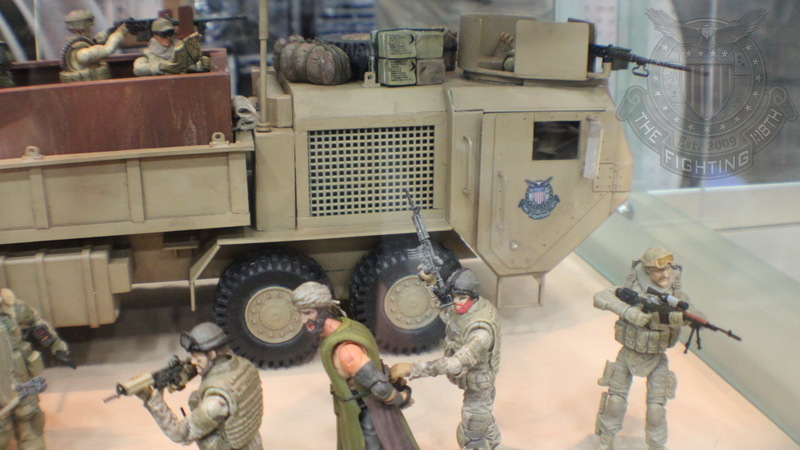 We will have dedicated articles to the upcoming 1/18th scale AV-8B Harrier and the new 1/16(ish) scale M-ATV coming soon!